I've been playing music for a good while now, more recently doing solo gigs (with some duo and trio work for fun). 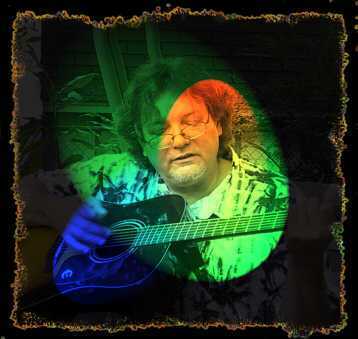 I play primarily Folk or what some people like to call Americana music on acoustic guitars, 12-string and 6-string. In the clubs, I play lots of covers and lots of originals and have even been known to take requests on occasion! CLICK HERE TO LISTEN TO SOME SONGS FROM MY LATEST CD "LOVE & ROOTS"
I also write a newspaper column for the Community section of the Florida Times-Union here in Jacksonville. Check it out with the link below. RON'S COLUMN "STRINGS AND THINGS"
Want a copy of one of my CD's? The latest, "Love & Roots" features Bettina Makley, "Florida Moon" is a solo project, "This Way Up" is with my band 419 and "Anti-Social Behavior" features my old rock group Hank Marlee. Want one? Send $10 to: Ron Johnson/ 2840 Apache Avenue, Jacksonville, Florida 32210. I'll get one right to you.